On October 27, 2016, national news outlets announced that Adam Crapser will soon be removed from the United States back to his native country of South Korea. With over 235,000 removals in FY2015, and similar numbers expected for FY2016, why is Adam’s story unique? 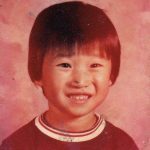 Adam is an International Adoptee who has spent 36 of his 39 years of life in the US. Adam was born in South Korea and placed into an orphanage outside of Seoul with his biological sister. Within a handful of months, he and his sister were on their way to the United States as the adopted children of US citizens. Although privacy laws protect Adam’s files and exact details, we assume that Adam and his sister immigrated to the United States as IR-3 or IR-4 immigrants; in layman’s terms, Adam was issued his greencard when he arrived in the United States. Based on his current age, it would appear this occurred around 1981 or 1982. The rest of Adam’s story is one of trials and tribulations. Adam’s adoptive parents were abusive and neglectful, and he and his sister wound up in foster care. After bouncing from home to home, Adam’s longer-term foster family was convicted of several counts of child abuse, landing Adam on the street at the young age of 16. The next decade or so were tumultuous. He had convictions for burglary, unlawful possession of a firearm, assault and violation of a protection order. In recent years, it appears that Adam turned his life around: he married, had a family, and made strides towards a career. Through it all, Adam remained a Lawful Permanent Resident. His adoptive parents never filed for Adam’s US citizenship, a necessary step for children like Adam before February of 2001. And because he was over the age of 18 on February 27, 2001 – the effective date of the Child Citizenship Act of 2000 – Adam never was able to trade his greencard for a US passport. About two (2) years ago, Adam filed an application to renew his card. As part of the normal process, USCIS collected Adam’s fingerprints – leading to discovery of his rap sheet. USCIS placed Adam into removal proceedings. Through an attorney, Adam applied for Cancellation of Removal for Certain Lawful Permanent Residents under INA section 240(A)(a). Eligible individuals must not have been convicted of an aggravated felony, and must merit favorable exercise of discretion. Adam’s criminal history resulted in denial of his application for relief, and a final order of removal. The most recent news report indicates that Adam has waived appeal and will accept removal to South Korea. Adam will be returning to a country that he has not known for more than thirty-five years. He is in every way an American, except in the legal sense. How could Adam have been protected from removal, despite his crimes? How can US adoptive parents protect their children against similar fates? If the adopted child entered the US as an IR-4 or IH-4 adoptee, parents must ensure that they complete all steps needed to confer actual US citizenship, not just permanent residency. Complete a US-based adoption if only guardianship was issued abroad. Or do a readoption if available under state law to “confirm” an overseas adoption. Luckily a recent change in USCIS policy now allows a child to be issued an IR-3 if only one adoptive parent [of a married couple] met the child before the adoption (prior to this, both members had to meet the child before adoption to avoid an IR-4 category). This means more children enter with an IR-3, and more automatically become US citizens. Adoptive children will not always reside with their parents; eventually, they will grow up and move away. Long before children turn 18, parents should obtain a Certificate of Citizenship and US passport for their children. This will ensure that any problems are identified and resolved well before the cut off age for benefits under the Child Citizenship Act. 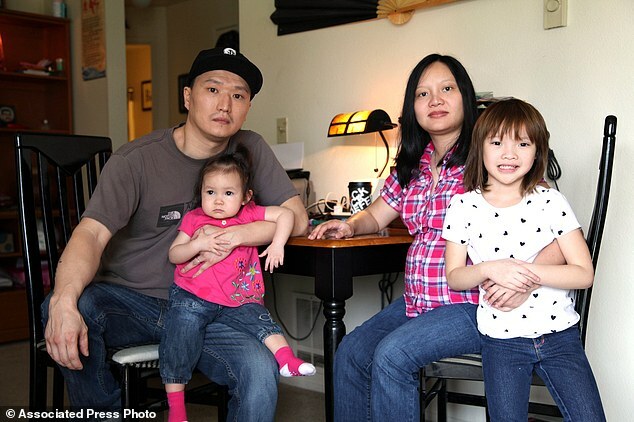 Support the passage of the Adoptee Citizenship Act of 2015. This important bill will retroactively assign US citizenship to adoptees who were 18 or over on February 27, 2001, when the Child Citizenship Act of 2000 became effective. This law, if passed, would have protected Adam from removal – the US government cannot and should not remove a US citizen. If you or someone you know plans to or has adopted a child from a foreign country, please contact our office with any questions about immigration, visas, US passports and Certificates of Citizenship. Our office is a nationally-recognized expert in issues related to International Adoption and Immigration, and we welcome your calls and emails.